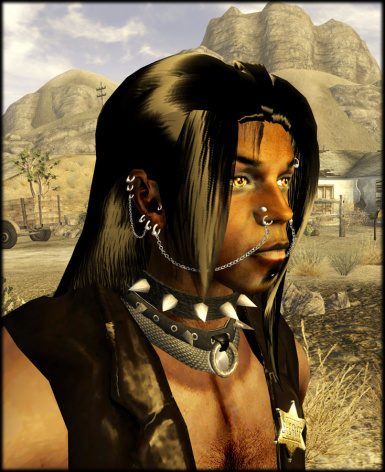 Conversion of Kikai's piercing meshes for New Vegas. A joint effort between me, Kikai & Nivea. Permissions for use of assets must be approved by Kikaimegami, Nivea and AlienSlof. Due to its complexity, this mod ended up being a joint effort between the three of us, Kikai, Nivea and myself. For whatever reason, my nifscripts decided to stop working, so I turned to Niv to convert these meshes from FO3. Thus done, they then decided to play up further as soon as I assigned textures to them. In came Kikai with a complex but working fix. Now this mod is complete! 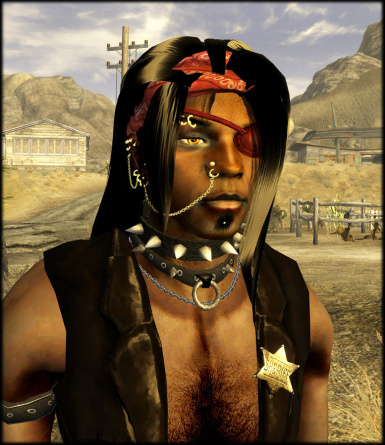 This is a collection of facial piercings, eyepatches and bandanas in various colours and metals. 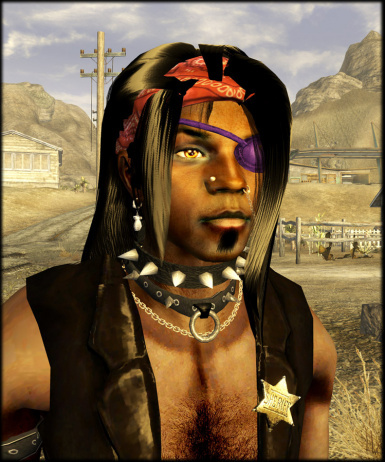 Eyepatches are available for left or right depending on which eye you want missing. 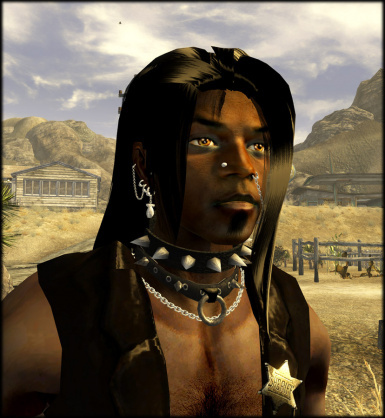 This bling is fitted to the male head mesh and may not work so well on other meshes. I've set them up in such a way as to aloow a fair amount of mix and match to get the look that's desired. 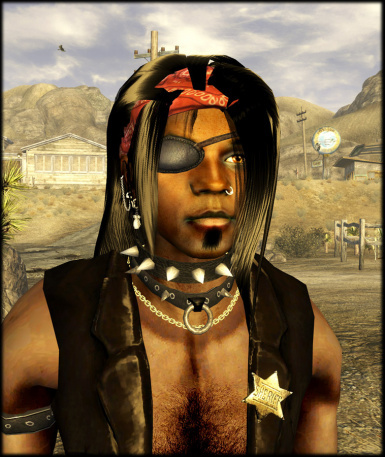 Items are free to take from an old fridge marked 'Bling Stash' just near the pickup truck in Goodsprings. This stuff is all male only.